Since it’s breakthrough into the mobile phone industry HTC have always preferred to make their gadgets come in metallic bodies but with the HTC U11 set to hit the stores, it seems HTC had a change of mind this year as they opted for a more classy device with the latest Qualcom Snapdragon 835 processor, powerful audio and a water resistant body. According to reviews by GSMARENA, the "U" in the phone's name stands for the company's new design language, while the "11" follows the numbering of the HTC One M9, and then last year's HTC 10. The reason for the "U" is thanks in part to the super-reflective surface on the back glass which HTC says "is a reflection of you". With the alterations made in the HTC U11 there is an evident change in surface designs and this may bring about a revolutionary change in HTC's production style. 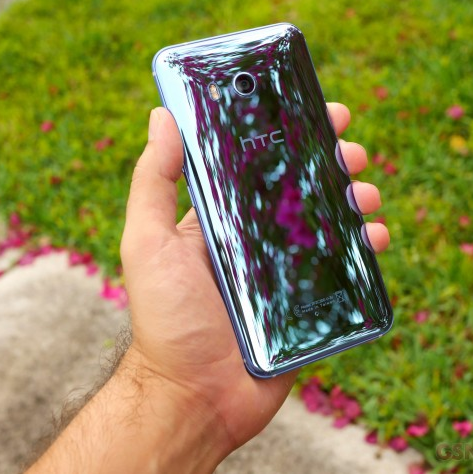 We all know mobile phone users prefer the sleeky glass design to the metallic bodies that HTC had usually opted for. Body: HTC's design uses Gorilla Glass 5 on the front and back. The "Liquid Surface" design on the rear is curved glass and changes hues under light. It's IP67 water-resistant. Despite these beautiful features there are a few setbacks the device suffered as the phone's battery life isn't really too durable and there is no analogue headphone jack. Would the HTC U11 be durable? HTC is the first mobile tech company that launched a device with the most recent chipset from Qualcomm worldwide but I think the device still has to prove itself to users when it finally hit the stores. We hope something similar to what happened to the HTC 10 wouldnt happen to the HTC U11 as it was knocked off by Samsung and Iphones. One great selling point for the HTC u11 is its squeeze features and noise cancelling Usonic hands-free. do you think customers may be moved by these new features ?